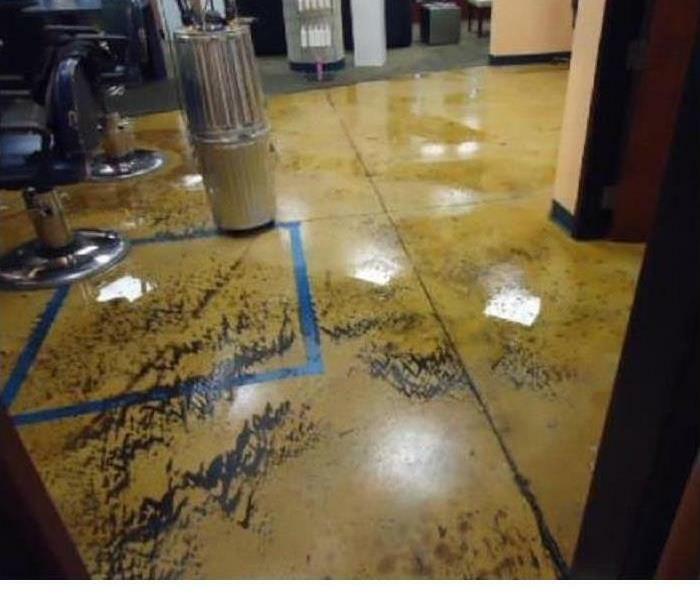 Last week this local commercial building suffered a large water loss. In this particular instance, SERVPRO was called after hours to respond to the unpleasaent surprise for the local building. Our SERVPRO team responds day and night and is always "faster to any disaster". A few weeks ago, a local building suffered severe water damage. Members of our SERVPRO team have been at the local establishment everyday to dry out the affected areas. When a large amount of a building is damaged by water, the areas need to be assessed for the severity of impairment. Once you have called a plumbing contractor then contact SERVPRO of South Bend NE to provide an inspection utilizing advanced technical equipment. Upon inspection if damages are determined SERVPRO of South Bend NE will address the water damage and provide a full repair service estimate. SERVPRO of South Bend NE has a 24 hour emergency service team that is highly trained and ready to help you at your home or business. Contact SERVPRO of South Bend NE at 574-233-8377. SERVPRO of South Bend NE services all of the Michiana area. 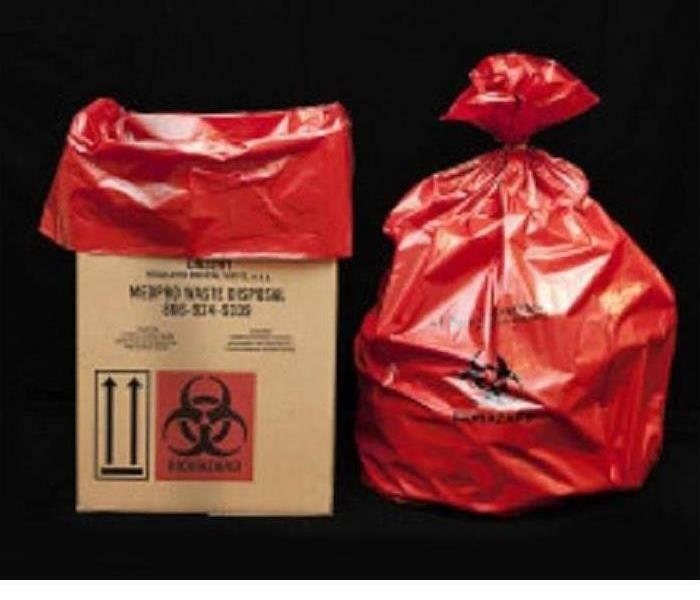 SERVPRO of South Bend NE is a national sponsor of the American Red Cross' Ready Rating Program, and as part of our community service, we are helping local businesses prepare for disasters. We call these E.R.P. (Emergency, Response, Plan) One of the best reasons to start an E.R.P. 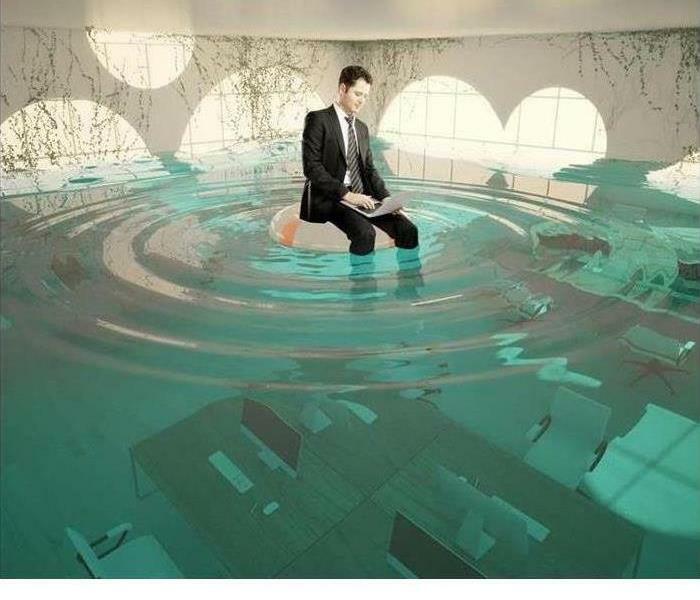 is because disasters seem to happen when you are away from the office or on vacation. Contained in an E.R.P. are a few of the following: property overview, building access information, contact information, utility information,(shut off locations) and other useful information that we tend to forget about when faced with a tragedy. For more information about starting an E.R.P. for your business today please call SERVPRO of South Bend NE at 574-259-8348 to help prepare you in case of a disaster. SERVPRO of South Bend, NE responds quickly to a water or fire, or mold damage emergency, 24 hours a day. Whether the damage occurs in a small business building or a big box store, we have the training, experience, and equipment to handle the situation. Our national network of 1,650 Franchises gives us access to personnel and resources. Call us for assistance today! As a locally owned and operated business, SERVPRO of South Bend, NE is strategically located to respond quickly to your water damage emergency and your mold cleanup. When there is mold in a home or business, we have the resources and personnel to help get your home or business back together. As a locally owned and operated business, SERVPRO of South Bend, NE is strategically located to respond quickly to your water damage emergency and your mold cleanup. When there is mold in a home or business, we have the resources and personnel to help get your home or business back together. Call us today! Why SERVPRO when it comes to carpet cleaning! The team at SERVPRO of South Bend, NE has the necessary training and experience to remediate seepage-based flooding. Do not hesitate to call us if we can help! 2/1/2019 - When Your Hot Water Is A Hot Mess! 12/21/2018 - What is an E.R.P.? 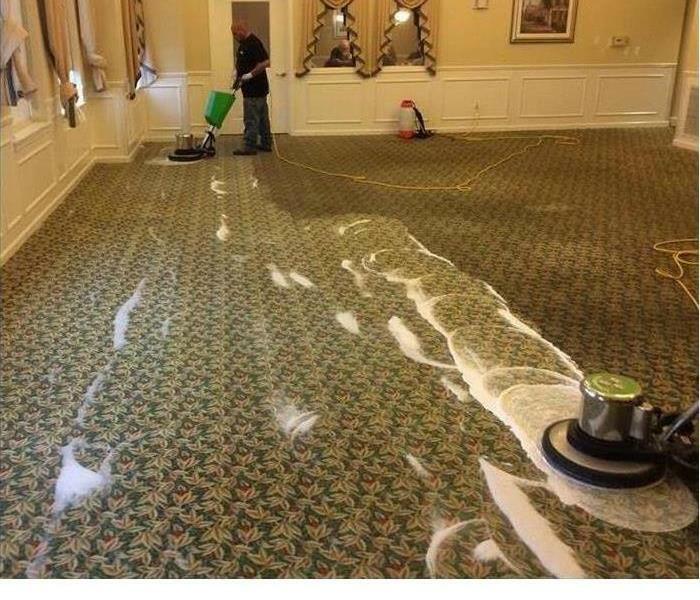 11/6/2018 - Why SERVPRO when it comes to carpet cleaning!